Very often I come across cases in which the client is unable to distinguish between savings and investments. The confusion is usually related to the unfamiliarity with the different asset classes. Typically such instruments are known as cash or cash-equivalent. Saving accounts and fixed deposits will come under this category. Thus, when a person says he wants to save, he is actually referring to putting money into the saving account or opening a fixed deposit. (4) May not be easily liquidated. Investment instruments include fixed income and equities. To make life more confusing, there are secondary asset classes being created which invests in fixed income and equities. These are: unit trusts, ETFs, single premium endowment, regular premium endowment, ILPs, etc. When is the best time to invest, when is the worst time? The best time to invest is when there is fear; the worst time to invest is when there is greed in the market. That is to say that the best time is when market is down and that the economy is in despair, when job losses are high with massive retrenchments. However, avoid individual stocks because companies can close down if economy becomes very bad. The worst time to invest is when unemployment rate is low, when economy is good, when wages keep on increasing and when the equity market is marching higher and higher everyday. In practice, most people will only seek financial advice when market is “good” which ironically is the worst time to buy. Financial advisers who could only earn a commission selling investment products will tell their clients to buy despite it being the worst time to do so. Hardly anyone would seek advice from financial adviser when times are bad. In fact, many financial advisers themselves would recommend “safer” products such as a commission paying single premium endowment when actually it is the best time to enter into equity markets. That is why most people will never earn anything from investing – whether they have a professional adviser or Do-It-Yourself. How does a structured product work? A simply to understand product is one which the underlying is share price of XYZ. At maturity if XYZ is below a strike price, the product return the investor’s capital. If XYZ’s share price exceeded the strike price, the product return the capital plus the profit of the share price. Such a product is consists of a fiduciary call, consisting of a zero coupon bond and a call option. Mathematically it is X/(1+r)^T + c where X = par value of the bond at maturity while c is the value of the call option which at maturity is MIN[0, S-X] where S = share price at maturity. The bank hedges their risk selling another type of structured product known as a protective put or mathematically S + p where p = value of put option = MIN [0, X-S]. Under put-call parity, the two sets of equation are equivalent. The bank earns a profit by charging each side a spread. The risk of such structured product is the default risk of the bond and the default risk of the option writer. You can see that the underlyings of the structured product are sophisticated and complicated derivatives which normally are used by the most sophisticated institution investors. Unfortunately such products have been sold to the man in the street. My advice is stay away from such product. What is the purpose of investments? If you make an investment, it must be because of a reason. Since investment entails risk, you must be satisfied that your reason is sound and reasonable. The “good” reasons why people invest is either to (1) Save up for retirement and/or (2) Ensure their assets are protected against inflation. Other reasons why people invest are: they want to get rich and/or because of peer pressure. These two reasons are unacceptable reasons. In accounting term, equity refers to the portion which a shareholder is entitled to in a company. The equity of a company is Assets less liabilities. Equity is also equal to Retained Earnings at the beginning of the period + Income + Other comprehensive Income – Dividends paid in that period. In investment terminology, equity refers to investing in stocks. Because stocks are traded on the stock exchange, its stock price is often subjected to the demand and supply factor. For equity portfolio, we mean investing in a basket of many stocks either usually through a fund. By investing in a large basket of stocks, non-systematic risk can be eliminated and the remaining systematic risks remain. Fixed-income or bonds refer to the debt issue by a company. When a company wants to borrow money from the public, it will issue bonds. Lenders or investors buy these bonds. These bonds will pay a regular fixed interest through the tenure of the bond. When the bond matures, the company returns the “par” or face value of the bond. Fixed-income portfolio means that the investor invests in many bonds usually through a fund. By investing a large basket of fixed-income, non-systematic risk can be eliminated by the remaining risk remains. What are “good” and “useless” risks? It has been said to get potentially higher return, one must take risk. This is not entirely correct. There are two main sources of risks namely systematic and non-systematic risk. Systematic risks are those which affects the entire broad market. Examples are interest rate risk, money supply, political risk, etc. Non-systematic risks are those which are peculiar to the company concerned and does not affect the broad market. Examples of non-systematic risks are fraud, mismanagement, accounting “creativity”, insider trading,etc. Research has shown that taking on non-systematic risks do not translate to a potentially higher return in investments. Those who invests in a concentrated portfolio of stocks and bonds expose themselves to high non-systematic risk. To eliminate non-systematic risk, diversification is the usual way to do that. Once non-systematic risk is eliminated through diversification, what is left is the systematic risk which research has shown to be the risk that translate to higher potential return. Why most people are losing money from investment? Market timing such as investing when market is going up (thus buying at highs) and “cutting lost” when market is coming down which is selling when lows. High cost. High cost of investments comes from trading fees (i.e. brokerage fees), bid-ask spread, management fee, impact cost, sales charge (for unit trusts) and soft dollar commissions. Most people would only invest when the economy is doing well but actually they are merely buying when market is already very high. The right way is to start investing when economy is not doing well because it is when the market is at low points. Because of all the above reasons, most people has and will lose a lot of money investing. That’s why investment is difficult primarily because of the human (wrong) behavior. Investors can hire financial advisers to help them invest. However, clients will only listen to financial advisers when the overall economy is doing well. Thus, most investors will still lose a lot of money investing even if they hire financial advisers to help them. Why most people exaggerate earnings from investment? c) Earnings are exaggerated because of failure to take into account of cost and time value for money. For example, those invest in properties tend to exaggerate their earnings because they fail to take into account i) cost of capital, maintenance cost, conservancy charges, transaction cost such as agents’ fees and legal fees and time spent. Why property investment seems to be a better? For (1), the property value appear to be less volatile is due to the fact that property are illiquid assets that are seldom traded on the open market. At any one time, the number of properties being traded is many time less than the total properties in the market. Due do this lack of liquidity, those who wish to know their property value is required to make a valuation. The valuator will use various appraisal techniques which tends to “average” out the property price. What will be observed will be a property price that seems to be less volatile compared with other type of investments such as stock. In reality, the fair price of a property is the actual transaction by two informed parties at arm’s length. Since properties are seldom traded, the “fair price” is only estimated using appraisal techniques. In other words, the seemingly low volatility of property price is merely an illusion. For (2) The capital gain appears to be larger because most property investors leverage using mortgage loans. Secure loan such as mortgage loan is easier to obtain than unsecured loan. The leverage effect tends to amplify the gains (or losses). However, the cost of capital which is the interest of these loan is based on the borrowed amount and not the investor’s own capital. Thus, many people fail to account for the large interest that they are paying. Hence the seemingly larger capital gain can be quickly eroded by the high interest being paid. Much of the transaction cost (like agents’ fees) are based on the price of the property and not the investor’s own capital. Thus, the transaction fee is extremely high for leveraged purchase. What is meant by asset allocation? Research has shown that 90% of the portfolio return variability can be explained by asset allocation. By mixing a combination of bonds and equities, it is possible to adjust the risk of the portfolio and at the same time determine the potential return. A greater proportion to equities increase the risk of the portfolio but provide a potentially higher return on a long run. On the other hand a lower proportion to bonds decreases risk but also decreases potential return. It is important that what make up the bonds and equities are very important. If the bonds consists of non-investment grade bonds, it the risk of such bonds are high (not low). On the other hand, if the equities consists of all defensive stocks, than the long term return of such equity portfolio will be potentially low, not high. What is meant by market return? The market return refers to the performance of the broad equity market. For Singapore, the STI index is commonly used as a market return. For US, the S&P 500 is often used. For global but developed countries, the MSCI World Index is commonly used. For emerging market, the MSCI Emerging Market Index is often used. When refer to an index, it is important to ask when is the index merely tracking the price index of the underlying securities or does it take into account of reinvesting the dividends. This is very important because dividends and reinvestment income takes up as much as half of the total profit over a long-term basis. What is meant by benchmark return? A “benchmark” is the how a fund manager is judged against. It is often a market index such as S&P500, STI or MSCI World index, etc. If a fund manager can consistently outperform the index, it means the fund manager is good otherwise the investor is better off investing in the benchmark itself using index funds. What is the cost involved in investment? For unit trusts, the cost of investment is sales charge, management fee, soft dollar commissions, bid-ask spread, impact cost and brokerage fee. My estimate of these cost is between 4.55% pa to 9.2% pa. The cost is even greater if the fund size is small. For ETFs, the cost of investment is bid-ask spread, brokerage fee, management fee, impact cost. My estimate of these cost is between 0.90% pa to 1.55% pa.
Because of unit trusts extremely high cost, I do not recommend investing in unit trusts unless there are restrictions. What is the duty of the investment adviser? Is it really necessary to invest? Because investment entail risks, it is not necessary to take such risk if you are not required to do so. For example if you are a high income earner and a good saver and do not mind a modest retirement lifestyle, you do not need to take risk as your savings could be sufficient to support your retirement. You should check with your financial adviser to determine whether is your current savings sufficient for your retirement. However, do be careful that many financial advisers will try to sell you investment products to earn a commission. You could end up taking up excessive risk just because the financial adviser need to earn a commission. You should consider someone who is fee-based and ethical. Is fixed deposits the best place to save? No, fixed deposits could be the worst place to save to. Firstly, when you place money with a bank, the bank will always try to ask you to invest in some structured products and “favor of the month. You will be constantly harassed. Secondly, only the amount insured by the Singapore Government is safe. Anything that is not insured is subjected to the credit risk of the bank. Thus, if the bank default, only the amount insured by the government is safe. Thirdly, there exists a risk-less instrument called Singapore Government Securities (SGS) which you can buy that has no risk. This is a bond guaranteed by the Singapore government and it represents the safest instrument in Singapore you can find. The interest rate for SGS is lower than a fixed deposits. However, the higher interest rate from the bank is merely to compensate you for the default risk and the potential to be mis-sold dangerous products when you visit a bank. If you end up being mis-sold or the bank defaults, even if the fixed-deposit earns you 10% in yield you will also not be interested. My advice is that if you cannot afford to lose your money or you have no wish to be harassed, you may want to consider the SGS. You can speak to a financial adviser if in doubt but remember that financial advisers earns nothing from recommending SGS bonds and hence you are likely to be recommended a commission paying product. Let’s assume the dividend yield is 3% per annum. To get $100 in dividends per year, you will need to have a portfolio size of 100/0.03=$3,333.00. This assumes that the expense ratio do not exceed 3% in a year otherwise there will be no dividends. Many unit trusts have expense ratio + hidden fee exceeding this amount. It is best to consider using ETFs for a low cost and diversified instrument. Many people like to buy structured product. Although this product is currently not popular anymore due to its poor publicity, but it will become very popular again because people has very poor memory. Some of these structured product is really lousy. To understand why, you will need to use probability maths to figure it out. Product A is linked with the performance of 6 companies. Product A’s performance is linked to the lowest return of the 6 companies. This is what we called a first-to-default product as well. Let’s assume that the probability of a company collapsing is 2%. Than Product A probability of having total lost is 2% x 6 = 12%! This product actually increases the likely hood of failure by the number of companies it has. Mathematically, P(A or B or C or D or E or F) = P(A) + P(B) + P(C) + P(D) + P(E) + P(F). Product A is a lemon but it is highly popular. Why? Product B is linked with the performance of 15 companies. Product B earns a fix 4% yield for each year provided the 15 companies’ shares are above the original share price. In other words, all 15 companies have to be above “water”. Assuming the probability of each company share price above its original price is 90% (I deliberately give it an optimistic figure. This is reasonable during a bull run). Than the probability of Product B earning 4% for that year is 0.90^15 = 20%! Therefore, even if the market is in a bull run, the chances of the product yield a mere 4% for that yield has been reduced from 90% to just 20%. What is the expected yield? Expected yield is 4%*20% + 0%*80%=0.8%. It will be better of that the investor just buy the 15 companies directly. Mathematically, P(A and B and C….) = P(A)P(B)P(C)….Product B is a lemon but it is highly popular. Why? Product C is linked with the relative prices of two securities (= Price A/Price B). If Price A > Price B after some period, Product C gives 1% return and give back the capital as well. If Price A < Price B, the investors will suffer the full loses (maximum 100% losses) of the relative Price A/Price B. What is this product? It is called the Dual Currency. Ask those who played this for NZDSGD or AUDSGD pair. I believe their recent return is a double digit lost. It will be better off investing in an ETF than this rubbish. At least in a carefully chosen ETF, there will be upside when the market rebound. For dual currency pair, even if there is a “rebound”, the upside is capped. Product C is a lemon but it is highly popular. Why? Many structured product is created to be a disadvantaged to the investor. This is done by playing with the game of probability. On a long run, the product manufacturer will win. This is the same as a casino. On a long run basis, they will know that the house will win. Why is it that people like to buy structured product? Some claim they have been misled. However, when times were good I had always advised my clients and others do not tap into those products they wanted to buy. They did not listen to me. Why? It was because of greed and ignorance. There is nothing I can do for “greed” but I could supply the necessary information to fix ignorance problem. However, some of these investors still proceed to purchase them even though I supplied them with the information and arguments. Thus, ignorance is not the reason they bought. Once they are informed, greed is no longer the reason also because a greedy person will not be attracted to returns that are lousy. The real reason was because the RM who sold the product has a gift of a gap. Secondly the RM represented popular branded institutions (of which many cannot even help themselves these days). What is the best risk-free rate in Singapore? During a Christmas gathering with friends, someone asked me for a question: What is the best risk-free instrument in Singapore? It was an easy question. My answer to that was: There is no risk-free instrument in Singapore. Traditional risk-free instrument is associated either with a bank deposit (preferably linked wiith the Singapore goverment) or the Singapore Government Securities (SGS). But we know that bank deposits and 10-year SGS is below the inflation rate. It is forecast that inflation for 2008 will be 4-5% per annum. Thus those who thinks that their money in bank or SGS is very safe is mistaken because net of inflation, their return is GUARANTEED negative. An instrument cannot be risk-free if the return after inflation is negative. Hence, there is no risk-free instrument in Singapore. Perhaps the exception is CPF-SA and Medisave which its interest rates is highly attractive. Other then CPF-SA and Medisave, the only way to gain potentially higher return is to take risk. There do not seem to be a choice for Singapore residents. What is the currency effects of ETFs and Unit trusts? I always get this questions very frequently from my clients. I ended up explaining the story over and over again until I decided to write this article to clear the misconception once and for all. Since this ETF/Unit trusts is in foreign currency, wouldn’t I be exposed to the currency risk of that currency? I dislike Sterling. So I am not interested in any Sterling denominated ETFs. First, the reporting currency of an ETF and unit trust is immaterial. You must remember that an ETF and Unit Trusts cannot be treated like a stock. ETF and Unit trusts are known as Collective Investment Schemes (CIS). A CIS is merely a vehicle to purchase large number of securities. What is important are the underlying assets and the underlying currencies. The reporting currency is immaterial when making an investment decisions. Second, it is important to convert all gains or losses to your own home country’s currency. This is the most accurate form of calculation as it would have taken care of all the currency effects and avoid confusion. Third, there are ETFs and Unit Trusts that have currency hedging. For such a case, the currency dynamics changes and you now take on the full currency risk of the currency that is hedged against. I shall give a few examples. The IEEM is traded in Sterling. As at end of 24 June 2016 closing price, it appears that the ETF has increased in value by 3.59% as shown below. This is strange because UK just voted to leave the European Union and all the stock markets in the world have crashed overnight. So does that mean there is a gain in this ETF? The answer depends on your home currency. So it can be seen that the ETF has actually decrease in value. Which is the expected outcome. IMPORTANT: The reporting currency is immaterial when making an investment decision. Hence, the reporting currency is not a factor in making an investment decision. Fidelity – America SR Acc USD. This fund’s reporting currency is USD which is also the same as the reference currency. The currency risk to the Singapore investor is the USD. Fidelity – America SR Acc SGD. This fund’s reporting currency is SGD. The performance of this fund and the previous one should be almost identical. Thus, the currency risk to the Singapore investor is the USD despite the fact that the reporting currency is in SGD. Fidelity – America SR Hedged Acc SGD. The fund implement currency hedging against the SGD. This means the currency risk to a Singapore investor is SGD and NOT USD. Since a Singapore investor’s home country currency is SGD, it implies that this fund’s currency risk has been removed. The following chart is a comparison between Fidelity – America SR Acc USD and Fidelity – America SR Acc SGD. The chart converts the performance to SGD. It can be seen that both funds are identical despite having different reporting currency. In the following chart is a comparison between Fidelity – America SR Acc USD and Fidelity – America SR Hedged Acc SGD. You can observe that the Fidelity – America SR Hedged Acc SGD performance is worse than Fidelity – America SR Acc USD in most of the period. This is because the currency risk of USD has been removed. Since USD appreciated during the period (shown by the pink color) (or SGD depreciated during the period), the Fidelity – America SR Hedged Acc SGD did not benefit from the USD currency appreciation. But should USD depreciate against the SGD, the Fidelity – America SR Hedged Acc SGD will not suffer the currency lost. The reporting currency of a collective investment Scheme like ETFs and Unit Trusts is not important. It is not a factor when making an investment decision. Convert all gains and losses to your home currency if you want a report on the performance of the investments. If there is currency hedging, you take on the currency risk for which is hedged against but the reporting currency is still NOT important. Should I convert/sell as I made a lost? I always get this question from clients whether should they convert their USD or GBP (or whatever foreign currencies) to SGD (or to other currencies). Similarly, I am always asked whether should they sell their stocks to buy something else. The same applies to properties. On the surface, these questions appear to be legitimate. But in reality, these clients were expressing irrationale investment behaviour. Normally these questions arise because of their inability to come to terms with losses made. For example, they may have bought the USD when it was 1.4 but now it has dropped to 1.37. Or they bought Noble Shares at 3.21 but now it sank to 0.625. Due to the losses made, they will make some irrationale decisions. Very often, such clients want to hold on to their investments in hope to breakeven. First, such thinking actually assumes that the investment is like a human. If a guy expresses his love and patiently wait for the girl to reciprocate, there is a chance that the guy’s patience will pay off. However, investments are unlike a relationship between two lovers. Investors who hope to breakeven is going to be disappointed as their investments do not reciprocate like humans. As the saying goes, never ever fall in love with your investments. Second, the breakeven price is highly dependent on when the buyer bought the investment. The assumption is that there is a chance that the investment will rise to the buyer’s purchase price. But this thinking is flawed as the investment does not know the buyer. In fact, there are huge number of buyers in the market each with a different purchase price. On what basis will the investment rise to the specific buyer’s price? 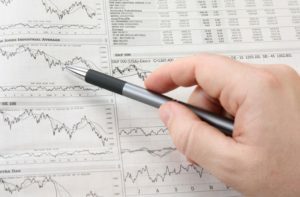 A more logical way is to use technical analysis (TA) to determine the buy/sell entry prices. TA uses past trends to make decisions although its usefulness is debatable. Third, holding on to the investment could potentially increase the risk of the portfolio. For example, if the stock price has plunged by 90%, it could very well be due to the increase in risk of the investment. That is why the price is so low. So continuously holding to the investments increases the risk! A rationale investor controls the risk of his portfolio and never allows it to increase beyond his risk tolerance. What would a rationale investor do? A rationale investor will decide to hold or sell the existing investments based on the future prospects of the existing investments while he ignores the purchase price because the purchase price is a historical event that is irrelevant. Very often, I will encounter clients who wants to invest using their foreign currencies but they will not allow me to convert their currencies. So they will tell me that they only want to invest in funds that are of the same currencies. However, as a professional financial planner, I always invest clients’ monies in a diversified portfolio. With such diversification, it means that the underlying currencies are diversified. Thus, they would have to convert their currencies anyway. To understand why the reporting currency of a fund is not important, please read interesting article: Currency effects of ETFs and Unit trusts . By the way, when you buy stocks in say foreign currencies, it does not mean you did not ‘convert’ your currency. Many of such stocks have international exposure and hence their profitability is dependent on their international operations and hence are exposed to multiple currencies. Let’s say you make a loss of -20% investing in X. Assuming the purchase price was $1. The opportunity cost of holding on to X is Y which can give you 10% per annum. The breakeven price is not $1 for X. Let’s say your waiting period is 5 years, then the breakeven price for X has to be $0.80 * 1.105 = $1.288. Hence, X has to appreciate by 1.288/0.8= 61% just to breakeven. But if you think about it, this is nonsense. X and Y are entirely not the same thing. How can X and Y have the same future return? But nonsensical reasoning is the result of an irationale investor who is fixated at waiting for X to reach the breakeven price to happen before selling. Another reason why many investors refuse to sell their investments is because they are holding to their gains. People do not wish to sell their profitable investments because they want to enjoy the gain and hope to make more money. Once again, holding on to their profitable investments is not logical because (1) the decision to hold or sell should be based on future prospect of the investments, not the past purchase price (2) The historical purchase price is irrelevant (3) it is important to evaluate any other opportunity cost of holding to the investments (4) and holding on to the investment potentially is increasing the risk level of the portfolio – as the prices go higher, the chance of collapsing is higher too. Once the prices drop, investors will have to continue to hold on to their investments hoping to breakeven. So we are back to the square one. If you are still confused, just remember that whatever what you did in the past and the price you paid for your investment is totally irrelevant. Similarly, it is not relevant what was the exchange rate of the currency you changed previously. What is important is the future. Given that 90% of investors are irrational, 10% will make lots of money from the remaining 90% who will lose a lot of money. The question is whether are you the 10% or 90%? Most recent bank statements for proof of the value of cash, fixed deposits, SRS. Most recent CPF statement for proof of the value of CPF balances. You can login to CPF website to get the latest statement. For stock investments made with SRS or CPF, the investment statement from SRS/CPF agent bank. For stock investments listed on SGX, use the most recent CDP statement. You may need to obtain it online. Unit Trusts statements from banks, fundsupermart, dollarDEX or POEMS. Proof of property ownership. See below for details. Proof of property value. The market value of the property is based on the floor size multiplied by the PSF of the most recent sale of a similar neighbouring property as determined by the URA recent transactions. Print the relevant URA recent transactions details. Proof of liabilities: latest mortgage or loan statement from the bank. For joint assets, each owner is assumed to own half of the value unless proven otherwise. Login to IRAS website with your Singpass. Select Property->View My Property Portfolio. Click on the property shown. The webpage will show the owners of that property. Print this screen. How bond prices are quoted? Bond prices are either quoted as ‘clean price’ or ‘dirty price’. To understand the difference, let’s assume a hypothetical bond that pays 5% of coupon rate. The par price is $100 (i.e. the initial price when it was first launched). If the bond coupon is paid semi-annually, the bond pays an interest of $2.5 every six months. For simplicity, we assume the coupons are paid on 1 July and 1 January of the year. When the bond matures, the par value of $100 together with the last interest of $2.5 will be paid out. Let’s assume you decide to buy such a bond on 1 April. You only need to wait for 3 months before receiving the $2.5 coupon. However, you will also need to compensate the seller of the accrued interest from 1 January to 31 March. The purchase price that includes the accrued interest is called “dirty price” while the price that excludes the accrued interest is called the “clean price”. Assuming the clean price is $105 on 1 April, the dirty price is the clean price plus the accrued interest. In this example, the accrued interest is 3/6 * 2.5 = $1.25. Therefore, the dirty price is $106.25. The accrued interest is not an additional cost. Changes in the clean price is determined by the bond’s credit rating, market condition and the period to maturity. Changes in accrued interest is purely due to the passage of time and it is reset to zero on every coupon payout date. Bonds purchased Over-the-Counter (OTC), are normally quoted in clean price. Example: Using the above bond example, the ask price in the OTC market at $105 on 1 April. If you wish to buy this bond, you have to pay $250,000 x (105 + 1.25)/100 = $265,625 because bonds are normally transacted in ‘lot’ of $250,000.